KAR UK officially unveiled the Hunter I-80 gear-driven rotor sprinkler at SALTEX 2018. Offering unparalleled levels of power, performance, and versatility, the all-new I-80 gear-driven rotor from Hunter Industries is the most technologically advanced commercial rotor on the market. In addition, the I-80 offers an advanced ProTech Turf Cup System — an industry first. 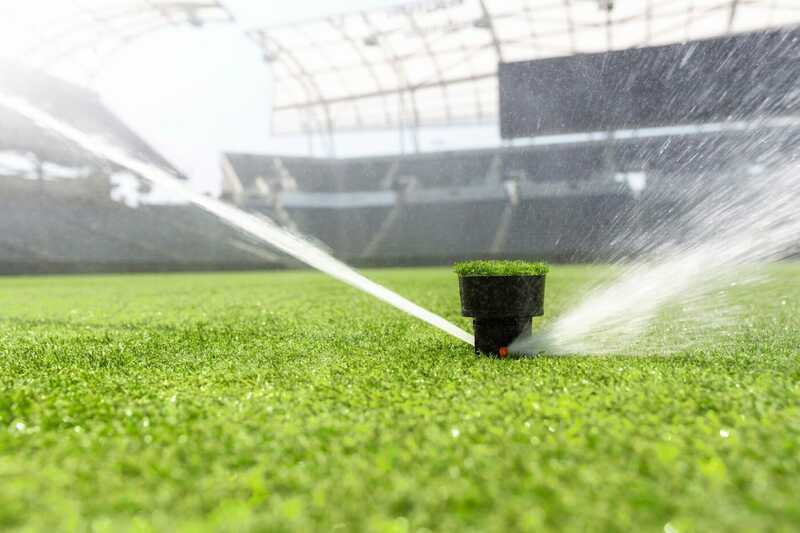 Thanks to ProTech TC™ technology, living or synthetic turf is retained in a cup mounted to the top of the rotor and installed flush to the surrounding turf. I-80 there’s nothing else like it available for sports surfaces. Hunter Industries is distributed in the UK by KAR UK. For more information, please visit www.karuk.com or www.hunterindustries.com.